Hello dolls!! Getting back to my regular posting schedule, today's look is an oldie, but a goodie. I prepared it a few months ago along with my Day to Night Transformation look using Anastasia's Catwalk Palette. Now that "Catwalk" is officially on the shelves, I'm eager to show you the looks I created using this awesome palette just in time for fall, so here's the first one! Salut mes belles! Fall is officially here and I'm switching up my beauty and styling routine. The changing of the seasons is the best time to experiment with fashion and mix up new trends. This fall, I'm swaying from the typical earth tones and whipping out the cooler tones instead to complement the cloudier days and the darker nights. I'm letting down my hair, keeping it long, sleek and straight and I'm layering it up with separates. My color palette and overall style is sweet yet edgy, highlighted with accents of pink and doses of sharp edgy accessories. Hello dolls! I've had the most incredible, busy week, so I'm posting this look on my off day, because it just can't wait any longer! I'm using my new favorite fall palette -- Motives for La La mineral eyeshadow palette "La La's Court" -- and I'm bringing back the Autumn Smokey in rich burgundy, gilded olive and smoldering black for a dramatic look that's fit for a Maven and a Queen of her Court. 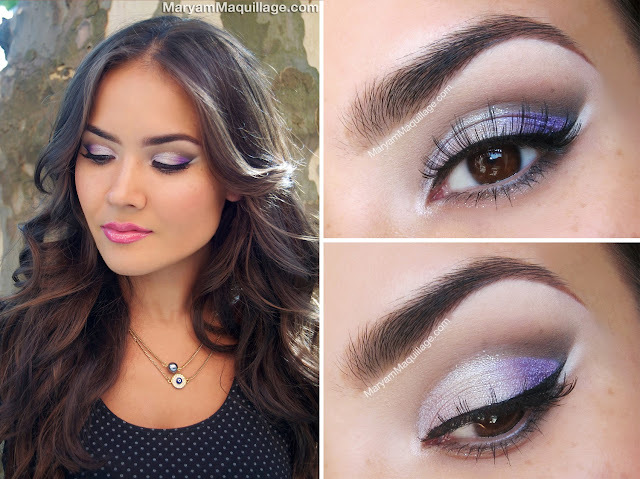 Read more for deets, tips & a pictorial-tutorial! Salut mes belles! 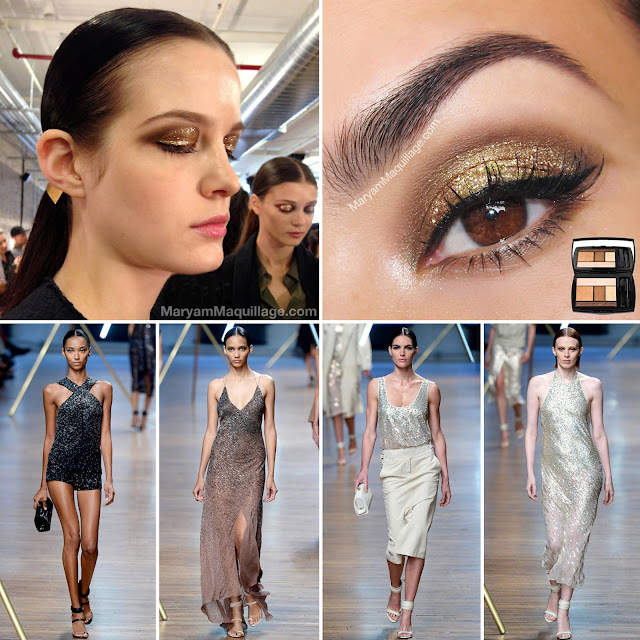 With New York Fashion Week in full glory, today's post is my first "Runway to Realway" makeup adaptation inspired by the gold glitter look showcased at the Jason Wu show on Friday. 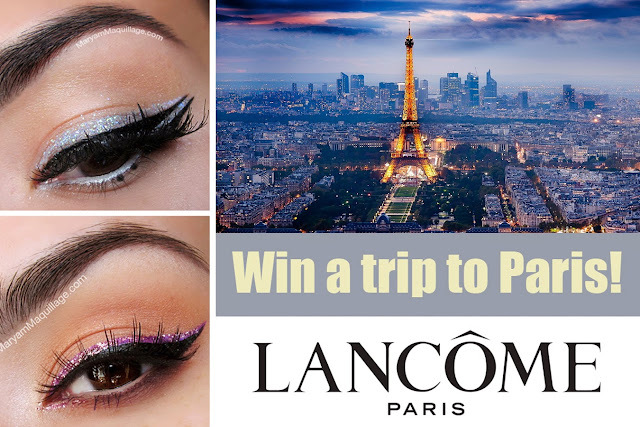 The look, envisioned by key makeup artist Diane Kendal for Lancome, focused on the dramatic Marlene Dietrich eye shape and heavy-metal rose gold glitter, featuring bronze shadows from the Bronze Amour palette. To bring this runway makeup to the real way, I stayed true to Diane's vision, but kept the shape smaller and more wearable, while still emphasizing the lid with glitter and bronze shadows. Wanna get the look? Read on! Hello my beauties! It's Friday night and NYC is poppin' for Fashion Week!! I'll be busy the whole weekend through Wednesday, so I wanted to get out this special post as a taste of what's to expect in the weeks following FW. 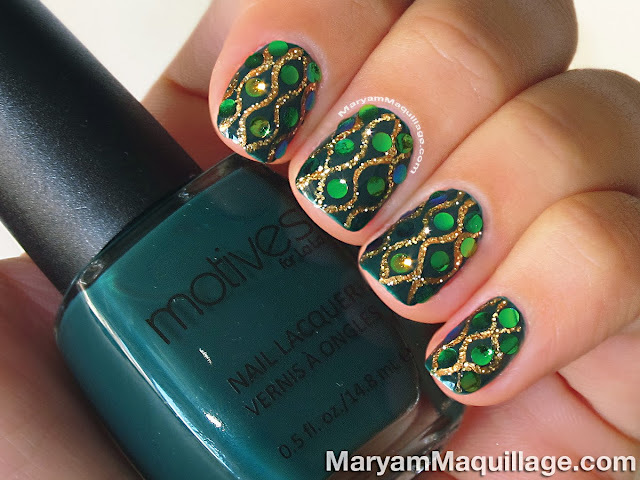 With that said, I'm ecstatic to present a Maryam Maquillage debut: Motives Cosmetics -- the award-winning makeup from Loren Ridinger and La La Anthony. For my first Motives look, I went for "Sparkling Lilac" -- a soft, yet edgy Ready-to-Wear look focusing on lilacs, lavenders and mauves. These purple shades are my favorite "falling-into-fall" makeup colors and work for both day and night. Let's get started! Read more for tips, tricks & how-to! Hello my darlings and Happy Labor Day! I'm back from my adventurous Southeast Asian vacation and I'm full of inspiration, motivation and new ideas. I've missed blogging terribly and I've missed you all even more! As much as I would've loved to have blogged on location, my itinerary was jam-packed with activities and I simply couldn't find the time (nor the readily available internet access); plus, I desperately needed a break and decided it was my time to escape. Hence, my blog took a stand-still for almost a month (Yikes! but y'all forgive me, right? ;) and I'm excited to return today on a brighter note, a fresher breath, and a more rejuvenated outlook on beauty and life. I've taken home a ton of memories and musings and today's makeup post is based off some of my favorite recollections.